Freedom is the spirit of windsurfing. For us, freedom means simply having fun on the water in every kind of condition. A full quiver in just one board, the 3S is a board to ride in all sea conditions, similar to the all-mountain ski in skiing. The 3S planes fast and easy like a freerider but is maneuverable enough to carve in the waves and to try freestyle tricks. 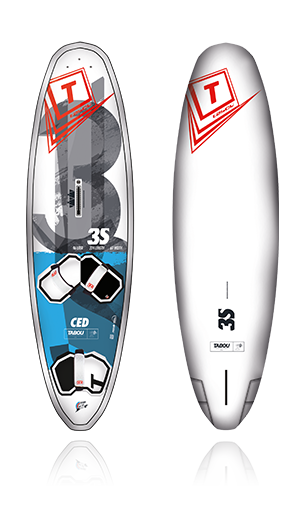 New for 2017, the 3S is modern and compact, which radically increases the board’s performance in speed and maneuverability. The compact outline makes turning much easier and therefore allows us to use a straighter rocker, which means the new 3S is both faster and more maneuverable with a magic glide over the water. 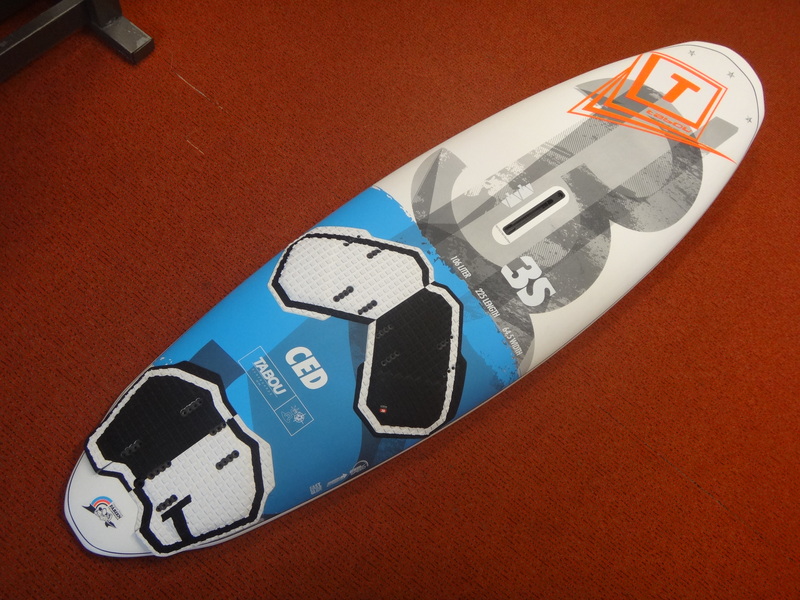 The shorter shape also fits better in small cars and boardbags. Additionally, the new fuller rail and flatter deck provide stability and control. 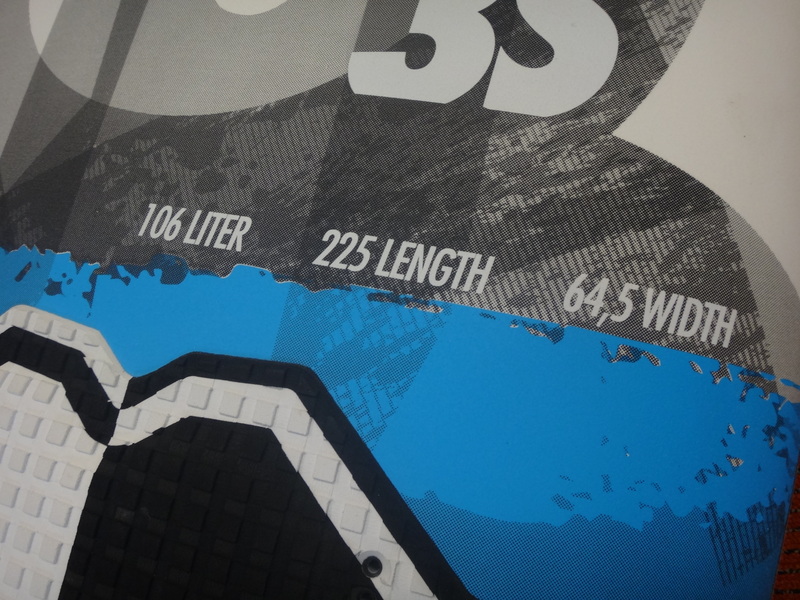 Like in the previous years, the new 3S uses a double step tail cutout to increase both speed and maneuverability. In a straight line, the cutouts have less wetted surface area and therefore less drag and a higher top speed. On the rail, the cutouts act like kick tail so that the board turns in a much tighter radius. 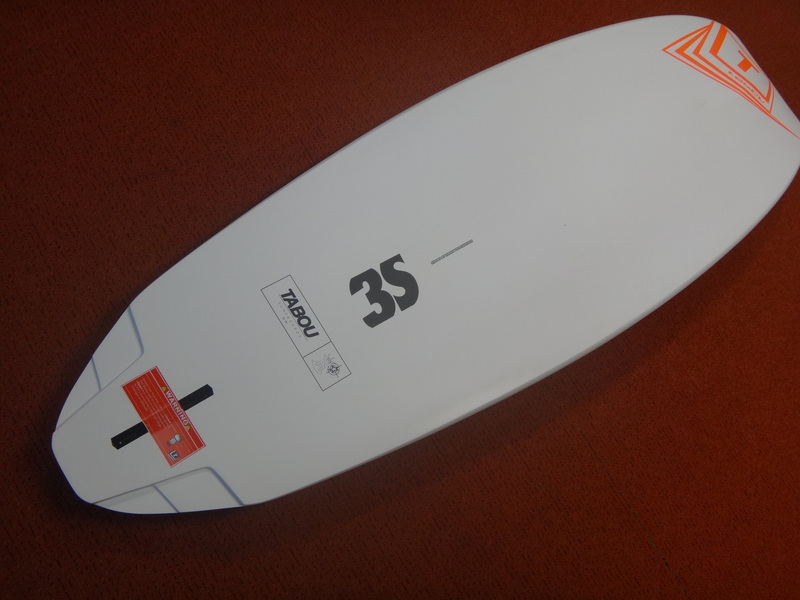 All sizes are available in the lightweight and rigid LTD construction, which makes the boards accelerate faster and respond more directly.